Don’t miss this unforgettable 8-day/7-night cycle tour covering the most historic, iconic sites in England. Family (8-12) – this is suited to children aged 8 to 12 years, as we cycle fewer miles each day, along quieter roads. Family (teen) – again, quieter routes, but cycling up to a max of 30 miles/day. Both family tour options included age-appropriate activities, from Harry Potter walking tours in Oxford to river fun at the Windrush Valley. and Highclere Castle, better known as Downton Abbey. Experience the luxury of our Prestige-level accommodation – with ivy-clad hotels, sumptuous linen, real ales in the bar, fresh local produce for award-winning dining, and deep, relaxing bathtubs… Who could ask for more after an exhilarating day in the saddle? 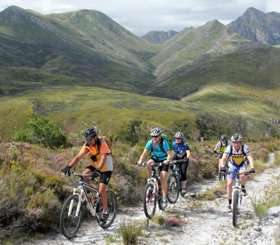 Accompanied by fun-loving, professional guides who are local experts, cycling enthusiasts, and always go the extra mile to make your tour an experience you’ll be telling your friends about for years to come.